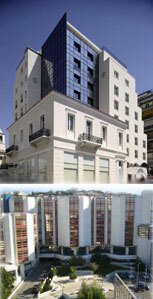 The InMed'13 conference will feature a number of prominent keynote and invited speakers. The speakers and the titles of their talks are shown below. 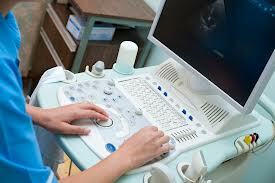 Development of knowledge based systems for the management and processing of medical images. Specific application to the domain of vessel image segmentation and processing in angiographic images and specific diseases such as abdominal aortic aneurysm. Development of computer aids to clinical decisions, entailing classification and signal/image processing techniques. Specific application domain are the neurosciences and the computer aided diagnostic systems for pathologies such as Alzheimer's disease, schizophrenia. Looking image/signal biomarkers as well as providing diagnostic support. Development of knowledge engineering for semantically enhanced systems providing intelligent and continuously evolving computer support for clinical decision systems. Specific developments on the breast cancer treatment and prevention will be discussed. Application of intelligent serious games for the training of medical and healthcare personnel to enhance performance or diffuse innovation in the clinical environment. Some of the topics have been covered by researchers at Vicomtech, a research center with close ties to the Grupo de Inteligencia Computacional of the UPV/ EHU. Manuel Gra�a is currently full professor at the Computer Science and Artificial Intelligence of the University of the Basque Country (UPV/EHU), in the Facultad de Informatica in San Sebastian. His research interests include Machine Learning and Pattern Recognition, Medical Image Processing and Computer Aided Diagnosis systems, Mobile Robot Navigation, Multi-Agent Systems with natural inspiration, Social Network innovations via Computational Intelligence. The development of Lattice Computing approaches in those domains is his principled research endeavor. He is member of MIR Labs, IEEE and ACM. He has chaired three international conferences (IWANN 2007, HAI 2010, KES 2012). He has been editor of more than ten books. He has been advisor of more than twenty successful doctoral students. He has coauthored over one hundred papers in impact research journals. Epilepsy, a common neurological disorder second only to stroke and Alzheimer's, affects 1 to 2% of the population worldwide and is characterized by seizures, abrupt disruptions of brain's electrical activity. The mainstay for the treatment of epilepsy remains still pharmacological despite its low efficacy. An engineering systems approach to epilepsy (epileptogenesis) and seizures (ictogenesis) has produced results and novel concepts that could revolutionize the diagnosis and treatment of epilepsy and other neurological dynamical disorders in the near future. It is based on measuring the brain networks' functional connectivity (connectome) over time utilizing mathematical tools from the theory of chaos and information theory. 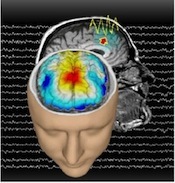 We will present results from the application of this novel technology to the electroencephalogram (EEG) and magnetoencephalogram (MEG) in conjunction with neuroimaging (MRI) acquired in studies with rodent models of epilepsy and patients with focal epilepsy. The impact of this technology ranges from diagnosis (e.g. accurate localization of the epileptogenic focus), to differential diagnosis (e.g. epilepsy versus metabolic encephalopathy; epileptic versus psychogenic non-epileptic seizures), to evaluation of treatment in emergency conditions like status epilepticus or monitoring of conventional anticonvulsant therapy. Finally, this line of research is leading to the development of innovative treatments for epilepsy, for example, timely intervention through closed-loop implanted stimulators with an automatically defined but ever changing form of stimulus administered at seizure warnings. Dr. Iasemidis is a world expert in nonlinear dynamics and the detection, prediction and control of crises in complex systems. He is considered one of the founders of the field of epileptic seizure prediction. His research and peer-reviewed publications, edition of special journal issues, patents, interdisciplinary conference organizations and presentations have stimulated an international interest in the understanding of the mechanisms of epileptogenesis through a systems engineering approach. Dr. Iasemidis serves on the editorial board of the Annals of Biomedical Engineering and the International Journal of Neural Systems and, in the past, of Epilepsia and the IEEE Transactions on Biomedical Engineering. He is a reviewer for a plurality of journals and research sponsoring national and international agencies, including the National Institutes of Health (NIH) and the National Science foundation (NSF). He collaborates with renowned for treatment of epilepsy medical centers, notably Cleveland Clinic, Mayo Clinic and Barrow Neurological Institute. Dr. Iasemidis' research has been highlighted in multiple forums, including the New York Times, Discover magazine, the Teaching Company, and the American Society for the Advancement of Science (AAAS), and has been funded by NIH, VA, DARPA, NSF, DoD, the Epilepsy Foundation of America, the Science Foundation of Arizona, the Whitaker Foundation and the healthcare industry. Dimitris Koutsouris was born in Serres, Greece, in 1955. He received his Diploma in Electrical Engineering in 1978 in Greece, DEA in Biomechanics in 1979 in France, Ph.D. degree in Genie Biologie Medicale in France, and the Doctorat d' Etat in Biomedical Engineering in 1984 in France. Since 1986 he was research associated on the University of Southern California in Los Angeles, and the Ren� D�scartes in Paris, France. He is currently a professor of Biomedical Engineering and Chairman in the Department of Electrical & Computer Engineering of National Technical University of Athens, Greece. He has published over 100 research articles and book chapters and more than 150 conference communications. 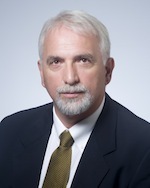 Dr. Koutsouris is a member of many honorary and professional societies and is currently the president of the Greek Society of Biomedical Technology. Professor Mike Smith has worked in the University sector as Pro Vice Chancellor for Research, Knowledge Transfer and Enterprise. He has also held senior positions in the UK's National Health Service in Clinical Science and R&D. His extensive experience of healthcare and medical devices has extended into the commercial sector, particularly the commercialisation of innovations and company formation. He is currently Chair of Medipex Limited and The Institute of Knowledge Transfer. Innovation is the first step on the long journey to commercialisation and Medipex works with National Health Service Organisations to take their innovations through that journey to generate products and services that are fit for purpose in a modern and cost conscious health service. This journey involves finding appropriate partners to help in the development and delivery of innovative products and services. Since its inception a decade ago, Medipex has increasingly worked with healthcare companies and Higher Education Institutions, to help them harness NHS expertise and understand the markets for their own innovations. Latterly we have started to bring academia, the NHS and the healthcare industry together at an early stage to develop cost effective new services that deliver better patient care through the co- creation of innovation. The introduction of the Research Excellence Framework (REF), that requires Universities to demonstrate tangible outcomes of their research has led to Universities seeking our advice and expertise on how to accomplish this. There are many examples of the types of innovation we have helped to develop: eg ELAROS, a home based triaging of long term continence problems using telehealth model to cut down inappropriate referrals and reduced pharmacy costs. EPAQ, an electronic quality of life questionnaire that patients with pelvic floor problems can complete on line either at home or in the GP surgery. This cuts out the need for an initial hospital visit, whist giving the Consultant Urologist the necessary information to make an initial diagnosis. Telewound care which joins up existing technologies ("Smart Phones" and Digital pen and paper) with a model of best practice to improve care and reduce costs of care by sending information and photos about a wound via a smart phone to a specialist nurse for assessment. 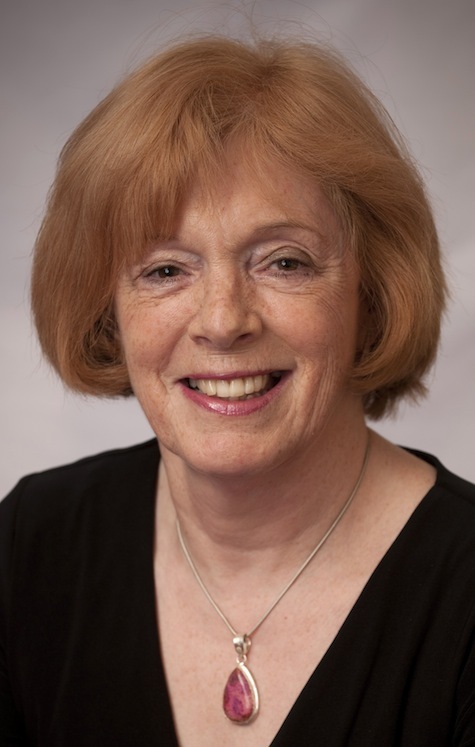 Ann has over 25 years experience of working at the interface between Higher Education and Healthcare Sector, latterly in research and project management in the Faculty of Medicine and Health at the University of Leeds University. Prior to joining Medipex she was part of the Executive Team that set up the Company and her role within the company is that of general and operations manager. She has an MBA with Distinction, from the University of Leeds (2007) She is a Visiting Fellow at Sheffield Hallam University , and was recently appointed Chair of the Transatlantic Business Council's Healthcare Advisory Board.